Long time no see! I am finally back from a five day trip to Paris. It was beautiful, nostalgic, and lovely...but I am very much so glad to be back in my Florence! 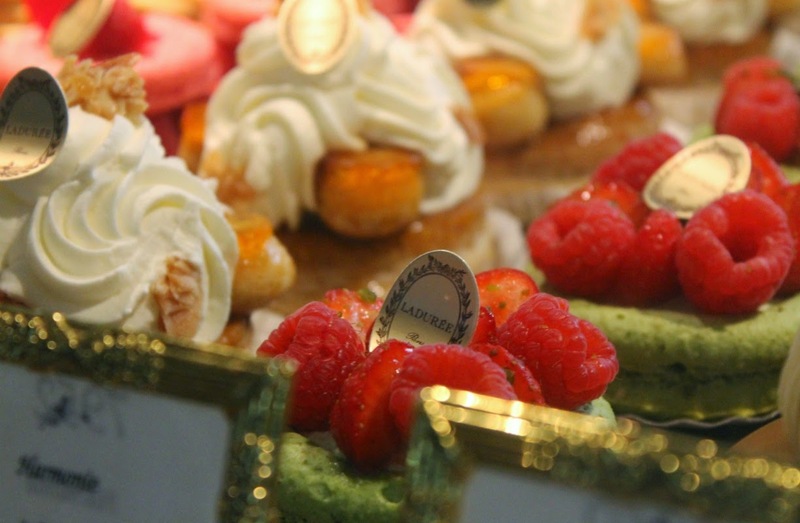 I have LOADS of photos to share with you all and it's kind of overwhelming...so I thought first I post a little about a smaller trip I did to Laduree. 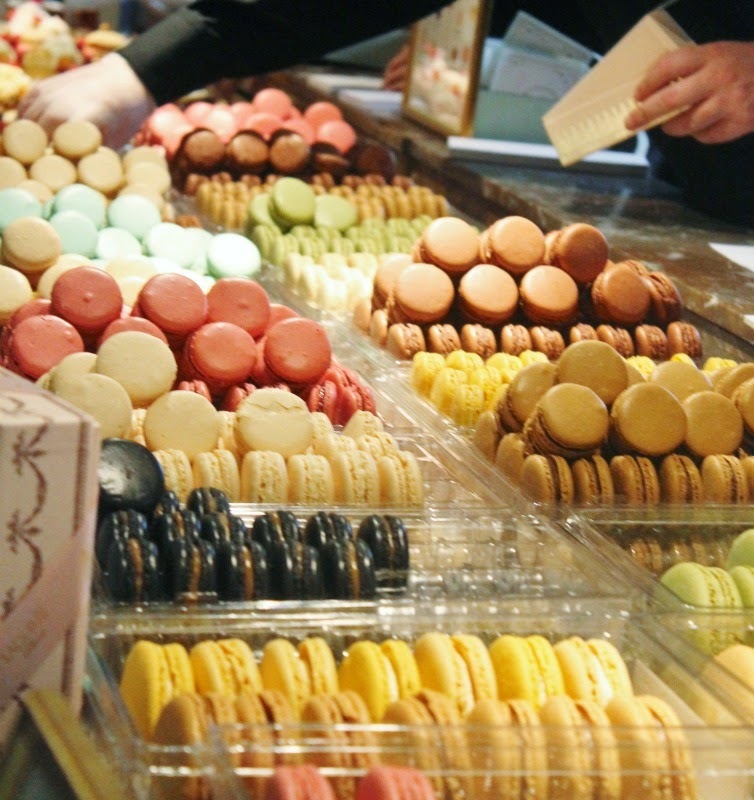 I've wanted a Laduree macaroon since I first heard about them years ago. I don't even think there are any shops in Ohio, so it was a slim chance I could ever get to try one. 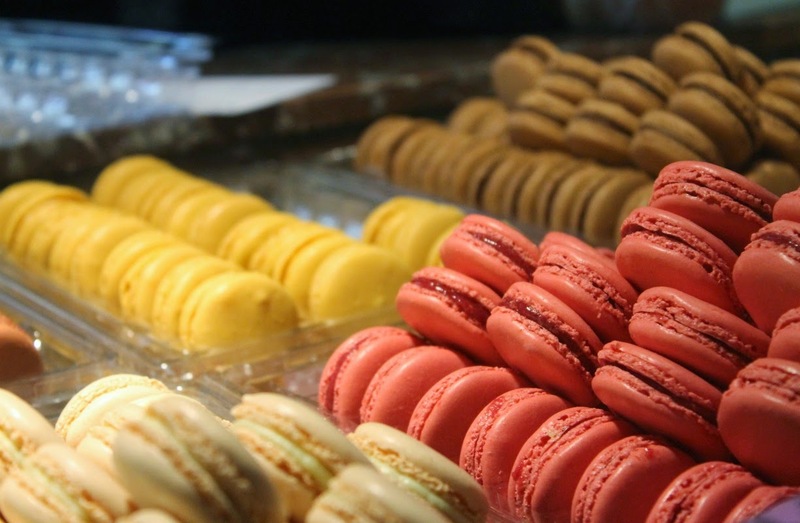 I was really annoying, too, and would see macaroons all sorts of places but never wanted to try my FIRST one until it was a Laduree macaroon. They don't disappoint. 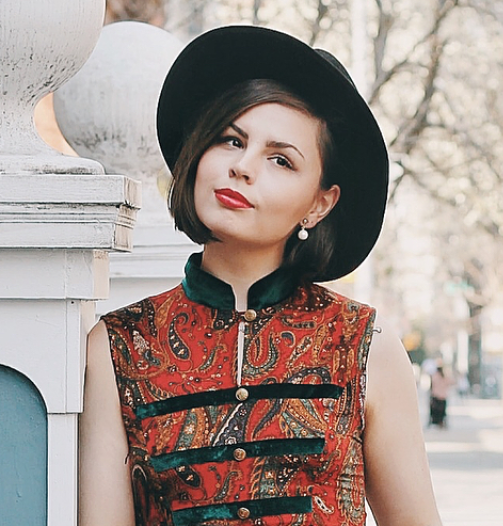 We went to the original store and it was impeccably beautiful and ornate. 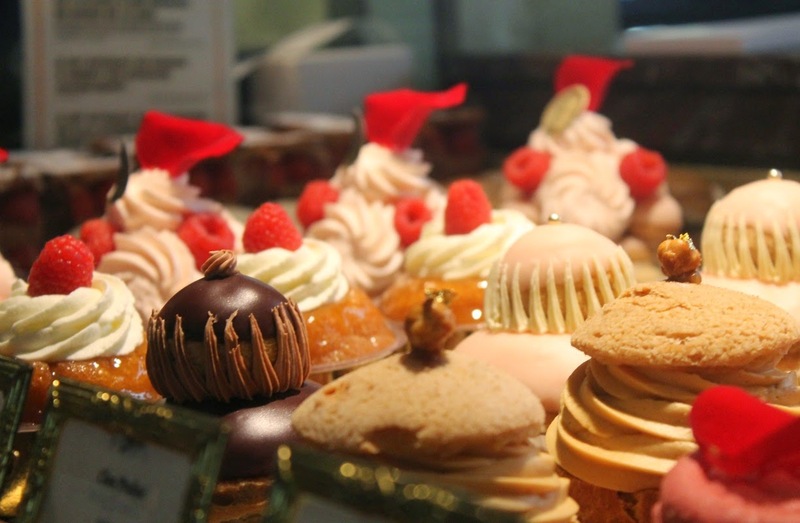 The site of rainbow colored macaroons displayed behind the glass and the delicious pastries was enough to send me head over heels before even tasting one. I've wanted to try these forever, so this is my one thing I splurged on while in Paris. I got a box of six for 16 euro which isn't actually as bad as I thought it would be. Although all of them looked delicious, I chose Rose, Salted Carmel, Raspberry, Chocolate, Mint, and Coffee. I ate the Rose one as my first macaroon ever and it was delicious. I was scared I might not like them because a lot of people say they aren't worth the hype, but I could pop macaroons in my belly one right after another. I saved the chocolate for last (hearing it was the best), waiting a few days trying to draw my purchase out longer. It definitely was the best, and now seriously can't wait to go get another one at the Laduree here in Florence! I went to Paris in Januaury and your post brought back all the memories! Can't wait to see the rest of the photos! 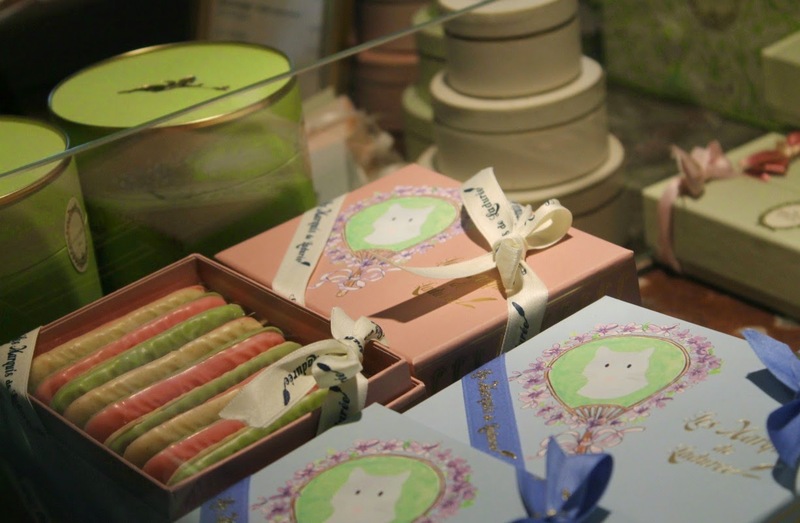 Ahh, I went to Laduree when I was in Paris a few years ago, and this is making miss it! 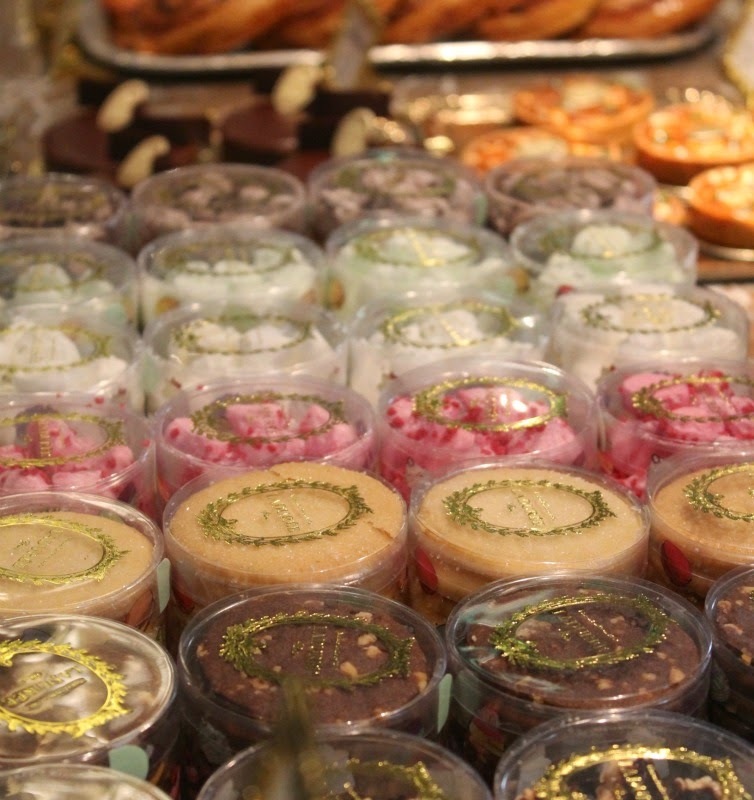 I can't believe you got to go to THE Laduree! I am so so jealous. 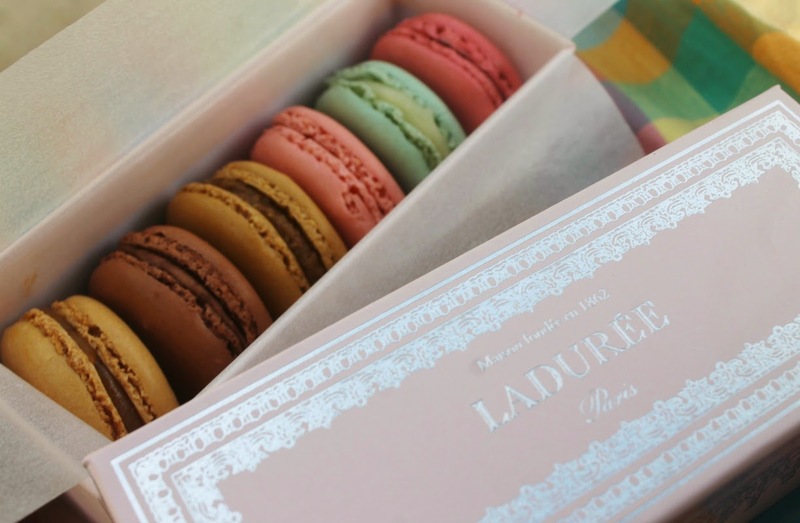 I love macarons too, and I would love to try some Laduree ones someday! Yes, I'm going to say it: here is a worthy and beautiful young lady getting all the just desserts she deserves! May there be MANY more!!! 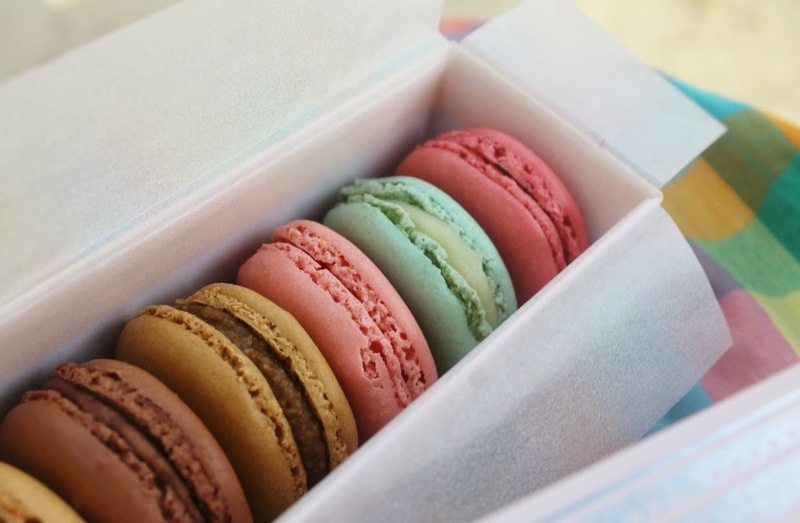 Ah macaroons are one of the most delicious desserts. Im surprised you were able to hold off so long from trying it but if anywhere is the place to try it, it would be Paris. Now if only I could learn how to bake them!